define what makes up a healthy home. This image is a bathroom vanity light with mismatched light bulbs. 3 of the 4 bulbs are CFL and the 4th is an LED. In this area,CFL’s tend to gain full brightness slowly when it is cooler outside, often taking 2-3 minutes. Adding a LED bulb to an array such as this will give instant bright light while theCFL’s “warm up”. This is quite useful in rooms that one enters for just a brief few moments, such as a bathroom, closet or laundry room. LED’s also consume even less energy than CFL’s so it is likely that they will be replaced with LED’s as needed. I chose to read the articles on Solar Power and Net Metering. One thought that came to mind is how could one get around losing power when the grid is down. Would a generator tied into the system be an effective solution? It doesn't make sense to me to be limited to grid failures when one is producing power "off the grid". Batteries are an option but are the advantages outweighed by the disadvantages of weight, cost, storage, maintenance, and disposal? This is a picture of an energy rating for a hot water heater all new appliances should have this writing on it to give you an idea or of its yearly Energy cost. The suggestions that it offered in improving home energy cost can be very effective such as changing incandescent lightbulbs to LEDs changing your AC system out to a lower sears rating in the way that you operate your system temperature. It was interesting find out that America is the number one source of energy consumption in the article also explained by using your solar panels or the way that you do things in the daylight versus the night time you can save energy also . Again it mentioned about your AC system and more efficient system efficient appliances such as hot water heater is still using a tight hot water heater use a tankless hot water heater your stove your refrigerator with the proper energy rating can save insulation on your windows and insulation in the walls can save on energy consumption is also . Duke Energy has a program for their customers to help save energy. When you start service with Duke Energy they offer to send light bulbs with energy star rating to help save money on your power bill. These light bulbs have an estimated energy cost of $2.16 per year. I use these light bulbs in all of my light fixtures. One of the articles that I read for this class was Energy Efficient Mortgages by Nick Gromicko. Energy efficient mortgages can allow home owners to reduce their power bill by having an energy audit completed to determine estimated energy savings. Home owners can get financing for the cost of incorporating energy efficient features like certain window and lighting options into new or existing homes. Finance companies like Fannie Mae, Freddie Mac, Federal Housing Admin., and the Veterans Admin. are just some companies will to give loans for more energy efficient homes. The second article was 10 Easy Ways to Save Money & Energy in Your Home by Nick Gromicko, Ben Gromicko, and Kenton Shepard. Home owners can receive tax breaks, save money on utilities, increase comfort in their homes and reduce the impact on climate change by reducing pollution. Home owners can find more efficient ways to heat and cool their homes, using tank-less water heaters, using LED or CFL lighting, and insulating and sealing of their home. Money can also be saved by installing energy efficient toilets, shower heads, and day-lighting alternatives. Insulating the doors and windows, cooking smart, and finding more efficient ways to do laundry can also help to save money and energy. 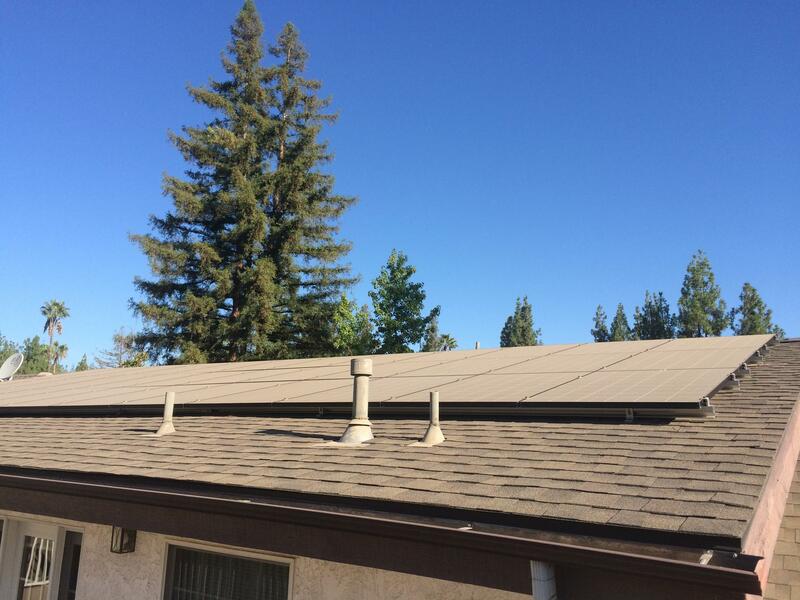 During a recent home inspection, I was able to conduct a limited assessment of 3 coarse array PV System. The array was mounted in an unshaded area of the roof. Mounted on properly flashed stand-offs, allowing air to circulate beneath the modules. For more in depth information, we recommend disclosure from solar electrical contractor who did solar install or further evaluation qualified specialist. Kick out flashing, also known as diverter flashing, is a special type of flashing that diverts rainwater away from the cladding and into the gutter. When installed properly, they provide excellent protection against the penetration of water into the building envelope. During inspections, you’ll encounter situations where areas should have flashing but are hidden behind the roof-covering materials, so you won’t be able to confirm its presence. Your inspection report should contain a disclaimer which makes your client aware of this limitation and which disclaims responsibility for problems resulting from any such conditions. I cannot stress enough on keeping up with InerNACHI courses and online library. Has equipped me with the rounded knowledge needed in order to service our clients in a professional informed inspection. Protecting everyone involved in the process. To Nick / Ben Gromicko and InterNACHI Association of Certified Home Inspector. 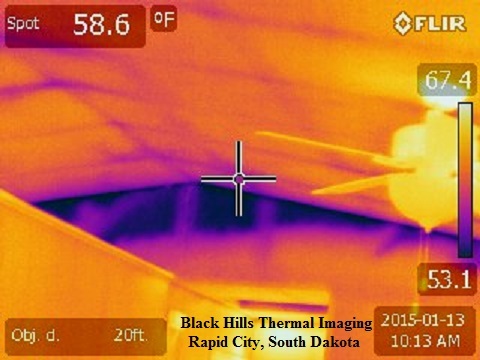 For this module I inspected the downspout on the SE corner of my property. It is draining right next next to the foundation. A downspout extension is recommended to drain water away from the foundation. This is something I’ve never heard of before. Although I have seen them in operation. Just didn’t realize they were called baghouses. I do plan on conducting commercial inspections once I’ve been properly certified/trained. An although this appears to be outside the scope of NACHI’s standard of practices for commercial inspections, it seems like this would be one system that would be worth knowing how to properly inspect. This article presents a very basic description/topic which warrants further study. As I progress through training, by reading this article, I will now know what to look for in order to learn more about baghouse systems. Bamboo is a fascinating material. I really like how this article shows both the pros and cons of using bamboo as a construction material. I would be surprised to run into bamboo construction where I live. However, I have seen it used quite extensively in bamboo flooring. The article helped point out many things about bamboo that I didn’t know. For example, I didn’t know that insects were a problem for bamboo and that DDT is used on bamboo farms. Another interesting thing I didn’t realize is that even though bamboo is as strong as it is it’s not designed to bear weight width-wise. It would be interesting to actually visit a place where bamboo is used extensively in building construction. I have enclosed a photo of a ceiling fan. During summer months I use the fan to spread the cold air around my apartment. Giving all areas a nice cool breeze. In the winter months I reverse the flow ,and it pulls the hot air down from the ceiling to warm all the air in the room. This saves me big $'s. I have enclosed photo of ceiling fan. During the summer I use it to move the cold air, so I have an even cool breeze. In the winter I reverse it ,to pull the hot air down from the ceiling ,this way the whole area is warm. It saves me lots of $'s. The 1st. article I read was on solar power. My son had solar panels installed on his house through a reimbursement agreement. A company installs and pays for the solar panels. His electric bill is reduced ,depended upon how much extra power ,other than his use generates. There was no out lay of money and his electric bill has been cut by 35%. In a house of 3,750 sq. ft. that is a lot of money saved. If during the time of his contract ,20 years ,there are any problems with his roof ,the solar company is responsible for all repairs. The 2nd. article I read was buying a plot of land from a developer. Myself have received calls offering free vacations and other incentives to purchase land or time share properties. I avoid these to good to be true offers. You just need some good old fashion common sense. The old saying ,Buyer Beware! This poor furnace pipe connection was noted as being unsafe. Potential for exhaust to leak into the basement. 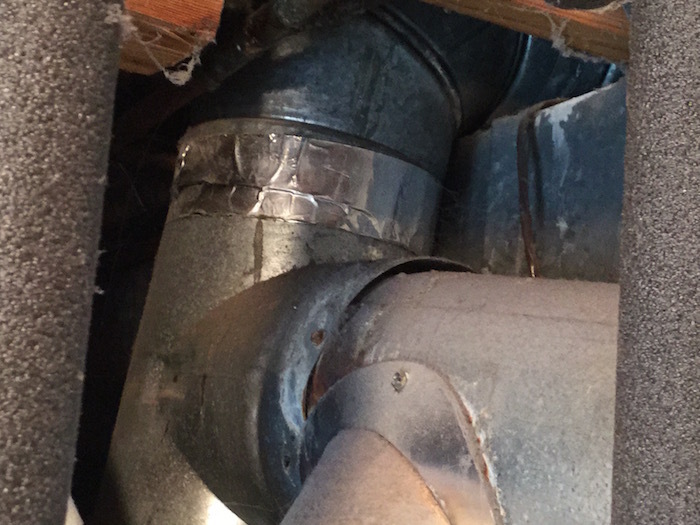 The client was informed, and they wisely got a HVAC service tech to resolve the issue. "10 Easy Ways to Save Money and Energy in Your Home" is a useful tool for homeowners. While some suggestions were more expensive (tankless water heaters), several were lower cost solutions. "Bathroom Ventilation Ducts and Fans" is the homeowner a valuable resource to help reduce the amount of air-borne moisture. In our region, excessive bathroom moisture results in a variety of problems in homes. This article helps provide practical solutions to these problems. 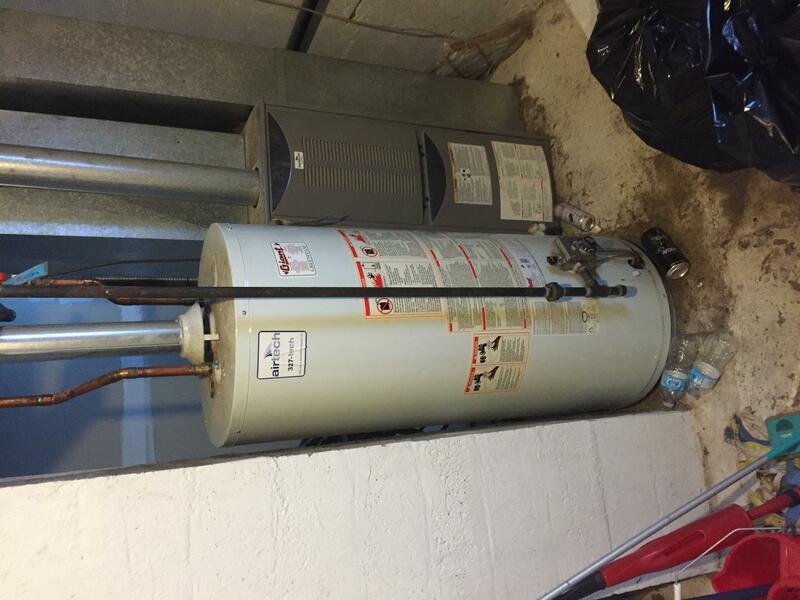 The home is equipped with a 40 gal hot water heater. The heater is rated at 36,000 BTUs. The pressure release valve was present but not tested as this is outside the scope of a general home inspection. The PRV was equipped with pipe diverting any release from the valve to the floor. No signs of rust or damage were observed at the time of the inspection. Kickout or diverter flashing is a type of flashing specifically used to divert water into the gutter system. Water intrusion into or behind the cladding can me a major concern for a home owner. An inspector should verify the instillation and presence of kickout flashing where needed such as where a roof and wall intersect or where a wall runs past a roof edge. The flashing should also be properly installed. The bottom seam should be sealed and should never be at an angle less than 110 degrees. . Kickout flashing is quite often not esthetically pleasing so it is not uncommon for a home owner to modify or remove it. If this has been dome it should be called out as a defect. U-factor is a rating system for windows that identifies its energy efficiency. The u-factor is not just applied to the window but the window assembly as well. The u-factor is determined by the criteria set out by the National Fenestration Rating Council. Some high efficient double pane windows can reach a u-factor as low as .3 and some triple pane windows can reach a rating as low as .15. I find many older homes with outdated windows that are in need of replacement. 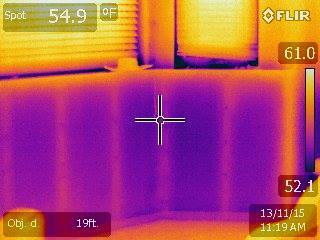 This is a window in need of replacement taken with a thermal camera. Here is a basement wall with no insulation behind the sheetrock. 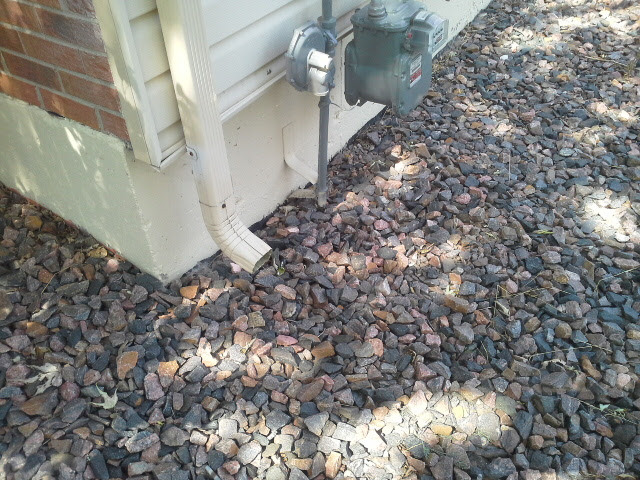 In this photo, the downspout does not extend out away from the foundation. You can see in the image, moss growth on the foundation near the downspout. This is located on the North side of the house, so it never has the opportunity to dry out. This is why moss is growing on the foundation wall.